Sidney Augustus Fleming lived at 64 Oxford Street, Newtown. He died on 25 May 1960. 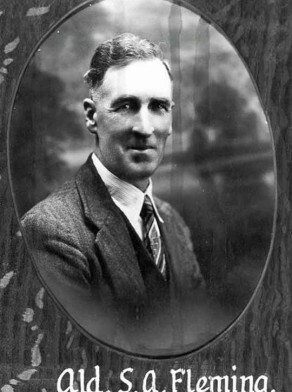 Sidney Fleming was an alderman on Newtown Council in 1932-46, representing Kingston Ward. He was mayor in 1945.